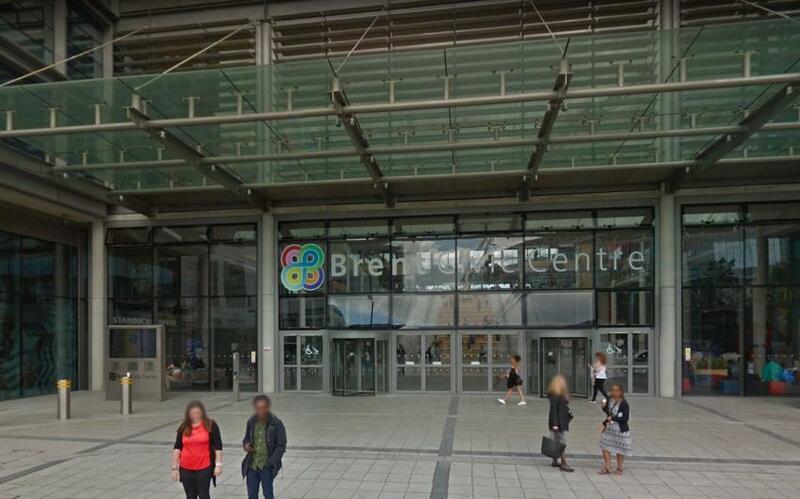 We have worked with the team over at London Borough of Brent for a good number of years now. Back in 2016 they transitioned from an on-premise Supportworks deployment to Hornbill Service Manager in the cloud as their service management solution. I was talking to Nasim about their journey, and he was kind enough to share his story with me; here is what he had to say. Can you give me a brief background of who you are and what your role is at London Borough of Brent? My name is Nasim Gani, I am the Problem and Service Improvement Manager at London Borough of Brent, but I also cover Change and Project Management for various IT related applications. My background is in Desktop Support and my previous roles as Team leader and Helpdesk Manager made me a natural choice to work with Hornbill. What Service Desk tool(s) were in place at London Borough of Brent before you deployed Hornbill Service Manager? We were using Hornbill Supportworks (onsite installation since 2012) before we moved to Hornbill Service Manager. The main reason for changing was the expansion of our IT service provision. We are now sharing our IT Service with other London Boroughs. We went from approx. 80 analysts and 3000 customers to 160 analysts and 9000+ customers. We identified the need for a better Self-Service Portal as we do not take any requests via the phone, our customers instead request for help or make service requests via a single shared portal which needed to be very intuitive, and Hornbill Service Manager with its Service-centric approach is what attracted me to Service Manager. What other service desk tools have you used in the past? How does Hornbill Service Manager compare in your opinion? I have been in the IT support industry for over 20 years, and have used numerous tools including Heat, Remedy, HP ServiceDesk, and Supportworks. Service Manager works native on multiple platforms (iPhones, iPads, Windows, Macs etc) and being cloud based means it is available 24/7 inside or outside of our network. What was your first impression of Hornbill Service Manager? When I first looked at Hornbill Service Manager I was very impressed with the ease of use and simple UI. The customer service portal is very friendly and as we only allow for this channel, it was important that this area of the product excelled. Hornbill also works really well on mobile devices which is a must for modern day working. What other solutions/tools did you consider/shortlist before choosing Hornbill Service Manager? The only other shortlisted tool was Servicenow, but once we saw Hornbill Service Manager in use, its clean and modern looking UI became the front running solutions. However, once we compared the total cost of both solutions it was a straightforward decision, Service Manager works out significantly cheaper per subscription when compared to Servicenow. The icing on the cake for us was the 30-day free implementation, which meant if we did not like it once we implemented it, we could walk away without incurring any costs. What was your impression of Hornbill as a company during the selection and implementation process? We have worked with Hornbill previously as they were also the vendor that provided Supportworks. We already had a working relationship with Hornbill and the solution seemed to fit very well with our needs, the company is local to us and these things all come together and gave us confidence in selecting Hornbill Service Manager as our solution to move forwards with. What would you consider your biggest personal success coming out of the project? The biggest personal success for me is having a major project rolled out on time and working as intended exactly as intended. I feel very lucky working with the great people in in my organisation, as well as the team over at Hornbill who helped make the implementation go really smoothly. You asked if the success of the project elevated me within my organisation – anytime a project goes well it improves your standing. Yes, but change brings its own challenges, some staff still prefer Supportworks but I think Service Manager brings improvements and these will be seen in due course. Since rolling our Hornbill Service Manager, how has it gone since you went live? The roll-out of Hornbill was very smooth – the simplicity of the product means very little training is needed. We are a shared service with two other major partners, with an additional company on-boarding in November 2017. We implemented Service Manager at our new partner as they didn’t have a recognised ITSM tool, so moving them to Hornbill was simple. After running Hornbill for 5 months, and learning more about the product, we migrated the remaining partners onto Service Manager (from Supportworks). This was done using in-house resources with minimal disruption to our business operations. Although we had the option, we chose not to import the old tickets into Service Manager, and instead just ran the old tickets down on the old systems – we felt this would allow the Service Manager data to be cleaner and give us a fresh start. We use the service portal as the exclusive channel for users to submitting tickets (no direct phone calls), this made it easier to implement the changeover, with the intuitive portal, just a simple URL redirection and we were done. Can you pick out three things that you love about Hornbill? Simple User Interface – little or no training needed for analyst and customers to be up and running in minutes. If you had a magic wand, what is the one thing you would change about Hornbill right now? Is there anything else you would like to mention in relation to Hornbill? There are continuous solution Improvements happening very regularly, much of which is driven from customer feedback via Hornbill’s online community forum. Hornbill is updated automatically so we never have to worry about upgrade projects, we just get new features as they come, no fuss and no costs. Hornbill’s direction is forward thinking – collaboration, automation are the next big things for us to build on, Hornbill is innovating in these area and I look forward to continuing our positive relationship with Hornbill. Nasim and the team at London Borough of Brent are doing some really interesting things, their continued expansion of their shared service is testament to their ability to generate cost savings for their service partners and ultimately their citizens yet continue to improve the service they deliver to their end users. Few public-sector organisations have managed to move towards a portal only service experience, this is where London Borough of Brent are truly bucking the trend. Like any company, we obviously love to tell our customer success stories, we are delighted whenever a customer agrees to participate in one of our spotlight articles. These spotlight articles are very specifically created using our customers own words, for this series we prefer their words rather than ours. Our goal is to “tell and not sell” so we don’t glitz these up with enterprise marketing words, fancy info graphics or meaningless statistics, we just document what our customers tell us and publish that in the hope that we maintain a level of on-the-ground integrity and honesty in our story telling efforts.